You know those games that seem to crop up every now and then that are just a little bit different from everything else out there? The games that make you think 'Wow, that's cool!'. Draw a Stickman: Epic is one of them. To start off the game, you must draw a stickman. From there, your adventure throughout depends entirely upon what you draw and you'll do plenty of it. 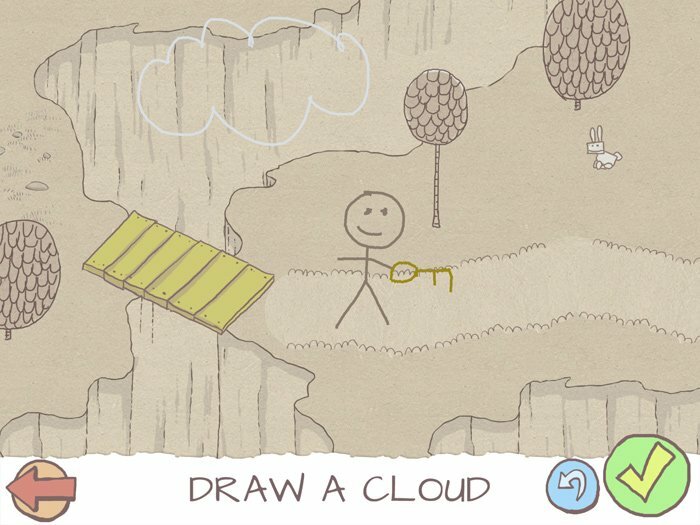 Draw a Stickman: Epic has 13 levels and one bonus level that you can uncover. How you go about conquering each level, will determine how your next level will go. It'd liken it to a choose your own adventure book but only this time around, you get to draw the adventure. With almost every aspect of the levels within your control, it's an interesting game experience. Check out the video below to get a better look at it. If after that, you want to give it a go you'll find both a free limited version containing 5 levels as well as a paid version available in the Google Play Store for download.